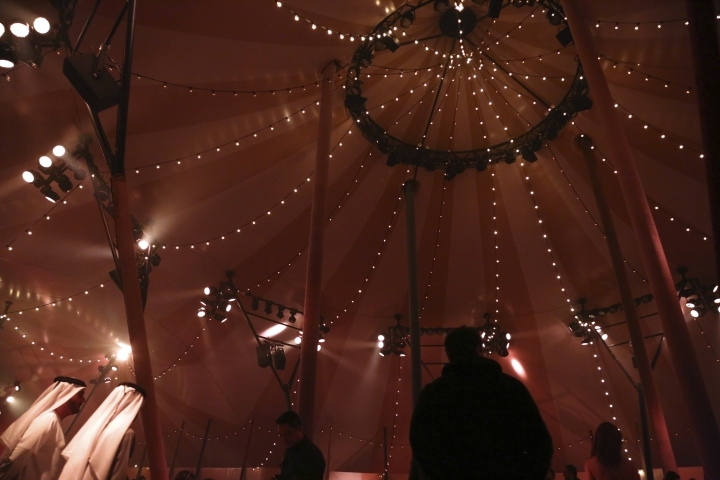 DUBAI, United Arab Emirates — Under a large circus-style tent, Dior showcased its latest haute couture collection to a crowd of Mideast-based fashionistas, social media figures, celebrities, buyers, designers and editors Monday night. 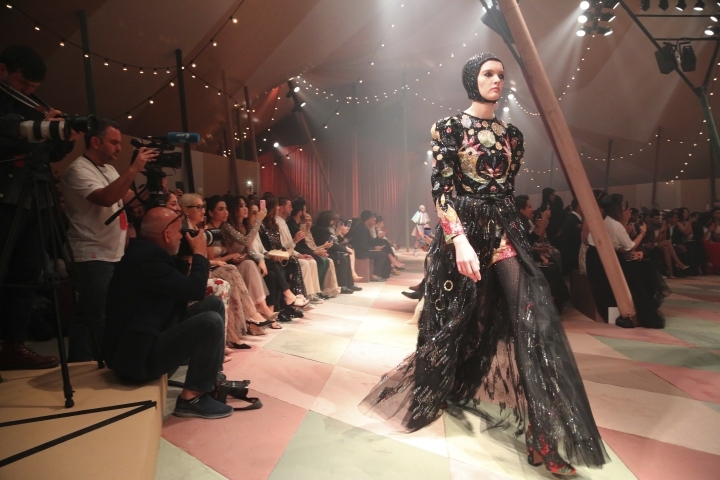 It was the first show in Dubai for the French fashion house, which initially presented its spring-summer 2019 haute couture collection in Paris in January. The presentation in Dubai, however, also included 15 entirely new creations unveiled especially for the show's design conscious Arab Gulf-based audience. Dubai's exuberant displays of luxury and the city's surreal, futuristic-looking skyline were the ideal backdrop to the show, where creative director Maria Grazia Chiuri was on hand. The emirate of Dubai in the United Arab Emirates, where Bugattis and billionaires are a common sight, has a reputation for glamour and over-the-top projects like man-made palm shaped islands, the world's tallest tower and a seemingly endless pipeline of new five-star hotels and spas. 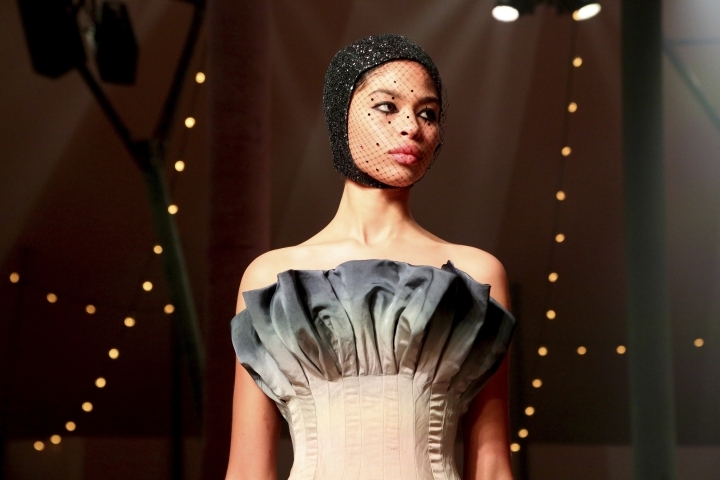 The exclusive pieces at the invitation-only show, which took place in a public park, reflected in many ways Dubai's own ambitions to become a global fashion and design hub. Minna Joseph, who attended the show in a tulle skirt of her own creation, said it was amazing to witness the collection. "I mean this is the park that I grew up in, I bring my kids in. And having something symbolic as Dior come, it's monumental for Dubai, for all of us, for the fashion community," she said. A more than $1 billion project called the Dubai Design District, or D3, was launched in recent years with offices dedicated to the fashion industry. The district's modern architecture and modish cafes cater to fashion editors of magazines like Vogue Arabia, emerging designers and local artists who can afford the steeply priced office space. 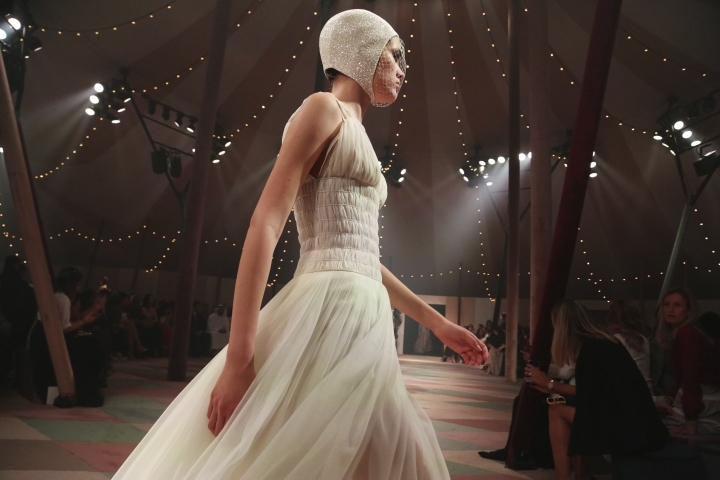 Despite Dubai's creative push, the emirate does not have a major fashion week. 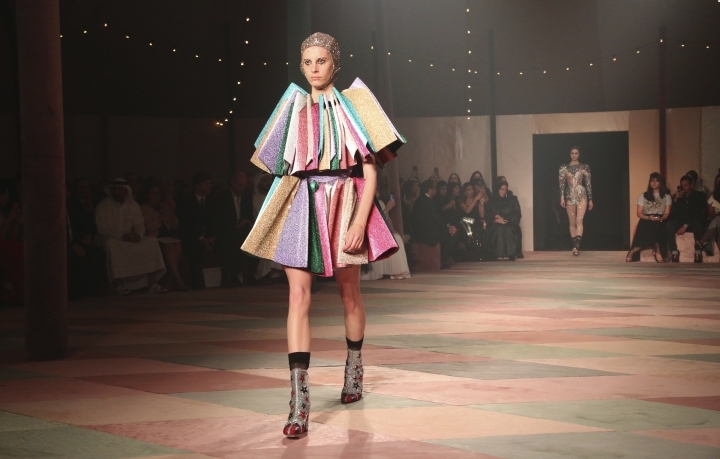 In a first in 2015, Chanel held a show in Dubai to unveil a cruise collection by Karl Lagerfeld. Still, Dubai is a major shopping destination, drawing tens of millions of visitors from around the world to its more than 40 malls each year. The retail and wholesale sector is the biggest single contributor to Dubai's economy, according to the Oxford Business Group.